“The Climate Reality Project: Need for Change and Reasons for Hope” is the topic of Dr. Jessica Scott’s discussion tonight (3/27) at the UA Little Rock Downtown campus. The program is free and begins at 6pm. Must we change? Can we change? Will we change? These three questions will be the focus of Dr. Scott’s presentation on climate change and the work of The Climate Reality Project. Although climate change is often misunderstood by the public, more than 97 percent of climate scientists agree that it is real and caused by the burning of fossil fuels like oil, coal, and natural gas. Understanding climate change can be overwhelming because our atmosphere, oceans, soil, and weather are driven by a complex network of interconnected factors. Dr. Scott’s talk, targeted at non-scientists, will not only summarize the evidence for climate change, but will also give an overview of what we know about its impacts and the policy and industry changes that experts predict will be necessary to mitigate these effects. 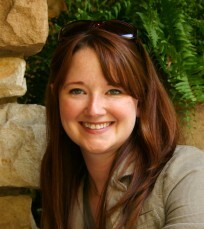 Dr. Jessica Scott is assistant director of the Donaghey Scholars honors program and anthropology instructor at the University of Arkansas at Little Rock. She earned her Ph.D. in Environmental Dynamics and M.A. in Anthropology from the University of Arkansas-Fayetteville, and her B.A. in Anthropology and History from UALR. Today (January 2) at 12 noon, the Central Arkansas Library System Butler Center for Arkansas Studies kicks off its programming for 2019. First up is the monthly Legacies & Lunch program. Today’s focus is on the creation of the Arkansas Territory. The year 2019 marks 200 years since Arkansas was separated from Missouri. Author and professor S. Charles Bolton, who taught history at University of Arkansas Little Rock for over three decades, will discuss the early history of the geographical region that became the state of Arkansas. The state was formed on land that was part of the Louisiana Territory for a time before becoming the Missouri Territory. The federal government eventually sent the Hunter-Dunbar Expedition up the Ouachita River, and designated a spot in eastern Arkansas as the starting point for land surveys west of the Mississippi River. The U.S. government also built a military installation on the future site of Fort Smith. These actions led to the eventual creation of Arkansas Territory in 1819, followed by statehood in 1836. Legacies & Lunch is a free monthly program of the CALS Butler Center for Arkansas Studies that highlights Arkansas-related topics. Programs are held from noon to 1 pm on the first Wednesday of the month. Attendees are invited to bring a sack lunch; drinks and dessert are provided. A library parking discount is available upon request. For more information, contact 501-918-3030. Dr. Deborah Baldwin, associate provost of collections and archives and director of the Center for Arkansas History and Culture, has been named the interim provost and vice chancellor of academic affairs for the University of Arkansas at Little Rock. Baldwin will serve as the interim provost for the spring 2017 semester, following the departure of UALR Executive Vice Chancellor for Academic and Student Affairs and Provost Dr. Zulma Toro, who will begin her tenure as president of Central Connecticut State University on Jan. 3. The university will conduct a search for a permanent provost with an anticipated start date of July 1, 2017. Baldwin has served the university in a number of positions, including six years as the chair of the Department of History and nearly 20 years as the dean of the College of Arts, Humanities, and Social Sciences. Throughout her years of administrative service, Baldwin has continued to teach in the public history program and has overseen graduate student work with community organizations. Baldwin holds a Ph.D. in history from the University of Chicago. Through her public history teaching, Baldwin and her students have helped to document the history of various Little Rock businesses and institutions. Among those are the Arkansas Arts Center, Arkansas Symphony Orchestra, Museum of Discovery and Little Rock Zoo. Today is the final day to enjoy the Arkansas Arts Center exhibition Our America: The Latino Presence in American Art. This major collection of modern and contemporary Latino art from the Smithsonian American Art Museum has been here since October. The exhibition Our America includes 93 works in all media by 72 artists who participated in various artistic styles and movements, including abstract expressionism; activist, conceptual and performance art and classic American genres such as landscape, portraiture and scenes of everyday life. Our America presents the rich and varied contributions of Latino artists in the United States since the mid-20th century, when the concept of a collective Latino identity began to emerge. The exhibition is drawn entirely from the Smithsonian American Art Museum’s pioneering collection of Latino art. Our America features bilingual labels for each work and a Spanish-language website created by the Smithsonian American Art Museum. Select works also feature podcasts with the artist’s commentary. Museum goers can simply call a number, scan a QR code or visit a website for more background on the artist and background on each piece—in English and Spanish. Artists featured in the exhibition reflect the rich diversity of Latino communities in the United States. Our Americashowcases artists of Mexican, Puerto Rican, Cuban and Dominican descent, as well as other Latin American groups with deep roots in the United States. By presenting works by artists of different generations and regions, the exhibition reveals recurring themes among artists working across the country. The 72 artists featured in the exhibition are ADÁL, Manuel Acevedo, Elia Alba, Olga Albizu, Carlos Almaraz, Jesse Amado, Asco (Harry Gamboa Jr., Gronk, Willie Herrón and Patssi Valdez), Luis Cruz Azaceta, Myrna Báez, Guillermo Bejarano, Charles “Chaz” Bojórquez, María Brito, Margarita Cabrera, María Magdalena Campos-Pons, Melesio “Mel” Casas, Leonard Castellanos, Oscar R. Castillo, José Cervantes, Enrique Chagoya, Roberto Chavez, Carlos A. Cortéz, Marcos Dimas, Ricardo Favela, Christina Fernandez, Teresita Fernández, iliana emilia garcía, Rupert García, Scherezade García, Carmen Lomas Garza, Ignacio Gomez, Ken Gonzales-Day, Hector González, Luis C. “Louie the Foot” González, Muriel Hasbun, Ester Hernandez, Judithe Hernández, Carmen Herrera, Carlos Irizarry, Luis Jiménez, Miguel Luciano, Emanuel Martinez, María Martínez-Cañas, Antonio Martorell, Ana Mendieta, Amalia Mesa-Bains, Franco Mondini-Ruiz, Delilah Montoya, Malaquias Montoya, Abelardo Morell, Jesús Moroles, Raphael Montañez Ortiz, Pepón Osorio, Amado M. Peña Jr., Chuck Ramirez, Paul Henry Ramirez, Sophie Rivera, Arturo Rodríguez, Freddy Rodríguez, Joseph Rodríguez, Frank Romero, Emilio Sánchez, Juan Sánchez, Jorge Soto Sánchez, Rafael Soriano, Ruben Trejo, Jesse Treviño, John M. Valadez, Alberto Valdés and Xavier Viramontes. The exhibition is organized by E. Carmen Ramos, curator of Latino art at the Smithsonian American Art Museum. Our America is sponsored in Arkansas by Donna and Mack McLarty, The Brown Foundation, Inc., of Houston, Consulate of Mexico in Little Rock and Alan DuBois Contemporary Craft Fund. Media sponsors include ¡Hola! Arkansas and Telemundo Arkansas.